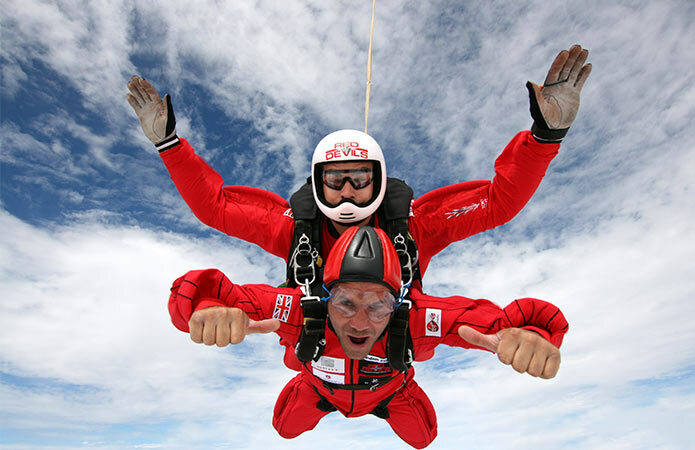 Sign up today for a tandem skydive with the Red Devils! Skydive with the Red Devils! Looking for that next big adrenaline rush and a once-in-a-lifetime experience? Skydive with the Red Devils and join the world famous British Army Parachute Display Team for an exceptional challenge! Do something incredible and freefall from 13,000 ft, all whilst supporting the Army’s National Charity.